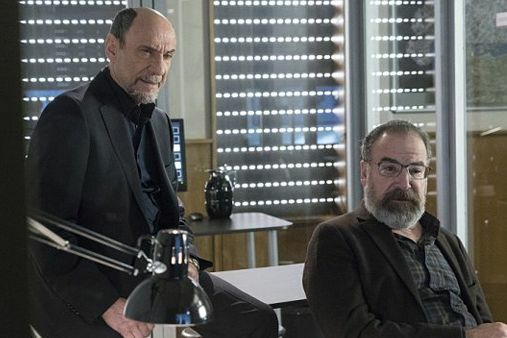 We’ve had reason to believe this season of Homeland was coming untethered. Where previous seasons felt tightly controlled and cohesive — well, save for the Dana Brody junk — this one has felt like a Frankenstein’s monster of stitched-together elements ripped from the headlines. 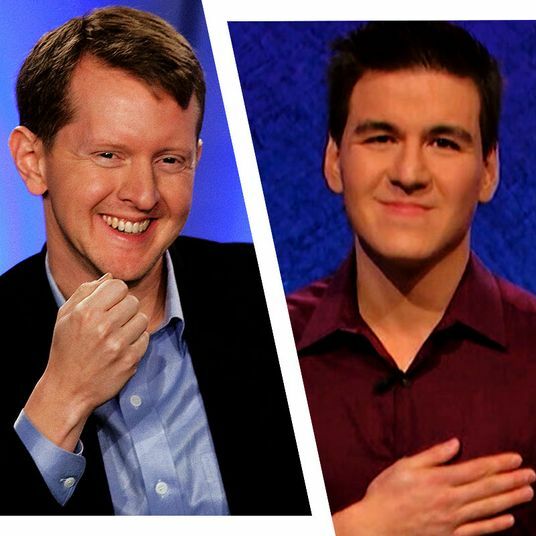 Snowden, ISIS, plus the usual spy games, and Carrie’s habitual lapse into madness. Plotlines about Carrie’s daughter and Quinn’s assassination side-business feel like they happened years ago. It began to feel like this season would be a collection of solid, unrelated subplots rather than one defining arc … that is, until this episode. “New Normal” revealed the secret glue that’s been tying this season together from the beginning: actual horror. The sarin gassing of Peter Quinn was among the most troubling things I’ve ever seen on TV, even though I had full confidence he would survive. Homeland’s brief foray into body horror (oh, those fluids leaking from all his face holes!) involves a character we couldn’t be more invested in, so when Carrie kept reviewing the tape of his “death” over and over while struggling not to sob, the moment was profoundly affecting. (Right there with you, girl.) But, of course, the additional dread underlying this already disturbing moment was the knowledge that the very same thing could potentially happen to a huge number of civilians in a major European city. I probably don’t need to spell out why this terrorist attack plotline — which is clearly the season’s endgame — is uncomfortable to watch. Is horror realer than ever these days? That question is rhetorical. Though terrorism-as-entertainment is not high on any of our current wish lists, it was precisely what the season’s narrative needed to tie everything together. Just look at Allison. After her last-ditch attempt to pretend she recruited the Russians fails miserably, she’s as cornered as possible. 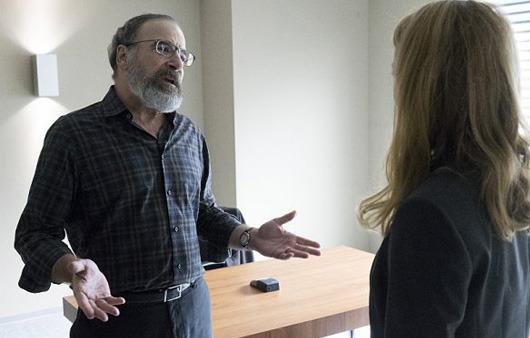 This episode could have simply continued her saga and still been compelling: Dar Adal agreed she was probably up to something; Carrie’s been vindicated and no longer has to wear her fright wig; Saul was so angry about Allison’s lies that he physically assaulted her. Within minutes, though, our concerns for this story line were derailed. The world learns of an impending sarin-gas attack — complete with widely broadcast video of Quinn’s “execution” — and it becomes the axis around which the rest of the episode spins. Did you get chills when even murderous villains like Allison and KGB Ivan offered to lend a hand to prevent the attack? Few things pack a punch like bad guys turning (temporarily) good, and these highlights were among the episode’s brightest. 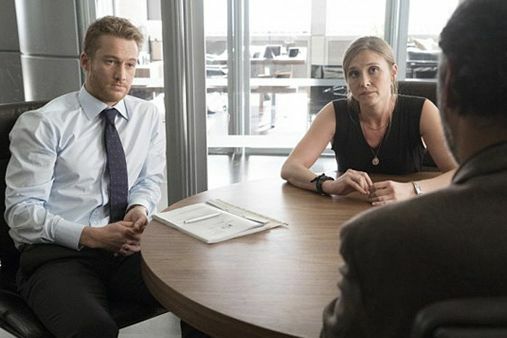 Even Otto Düring factors into the terrorism angle in “New Normal.” When Laura and Jonas offer to provide legal protection for a wrongly arrested shop owner, the man lets slip that he’d overheard a prison rumor of an attack on Berlin. Laura, of course, feels that they had a duty to keep his claim confidential and protect the man’s liberty at all costs — she awkwardly cited post-9/11 injustices in a truly bad false equivalency — but Jonas and Otto know that they can’t simply sit on a lead like that, not when hundreds (or thousands?) of citizens’ lives are in danger. Otto contacts Saul to arrange for the informant’s safe, dignified transport to CIA headquarters, but unfortunately, German intelligence officers abduct him right off the curb. I think we were meant to share Laura’s distrust of government, but, uh … no. Recent real-life events have heightened the urgency to prevent attacks, so once again Laura shirked off the audience sympathy Homeland may have intended. If there’s a drawback to plunging Homeland into a full-scale terrorism plot, it’s that Carrie will once again be relegated to a supporting role. In her scant scenes this week, she teamed with Astrid to locate Quinn’s gas chamber using only the video footage. And while the pathos of these scenes was undeniable — was her on-again, off-again love interest truly DEAD? — I couldn’t help but wish she was still an active CIA agent. Despite an almost laughably easy solution to locating Quinn (an algorithm! ), it was hard not to be moved when she discovers his corpse and weeps, only to then see him move and blink. 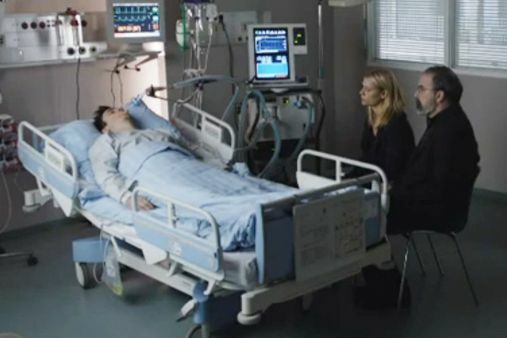 Harder still in the final scene, when Saul and Carrie sit together beside Quinn’s hospital bed. These are long-earned sympathies, and this moment could not have been more rewarding. The title “New Normal” refers to the idea that terrorism threats are so omnipresent, the government doesn’t feel particularly compelled to warn everyone about them all. If the populace were constantly worried about terrorist attacks, would-be attackers would wield too much power. But we’re not dummies. We know this stuff is always being schemed and (hopefully) thwarted, and that knowledge comes with the sinking dread of potential horror. 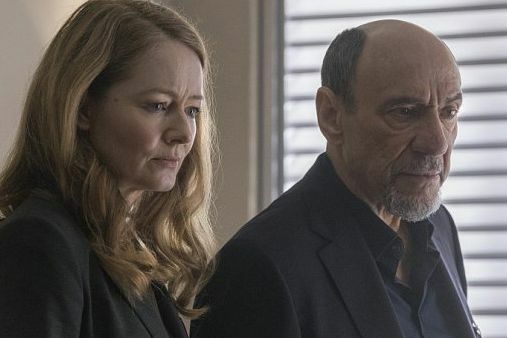 Homeland loves using real geopolitical conflict to fuel its pulp, but it’s never more honest than when it reminds us how scared we are — and how scared we may always be. Horror isn’t the best glue to hold society together, but it’s certainly an effective one.